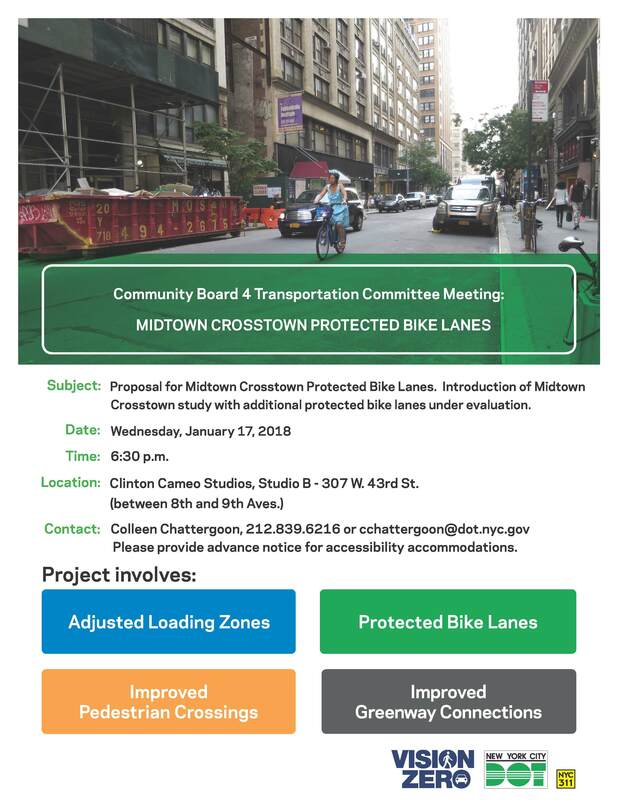 ← SANS L TRAIN: Scheduled Open Houses etc..
After the community board asked twice for crosstown bike lanes, DOT is presenting their plan for multiple crosstown protected bike lanes, as well as a project to implement a pair on 26/29th Streets where a bicyclist was killed by a bus driver last summer. Wednesday , January 17, 6:30 p.m. This entry was posted in CHEKPEDS, Complete Streets, Events and tagged bicycles, crashes. Bookmark the permalink.